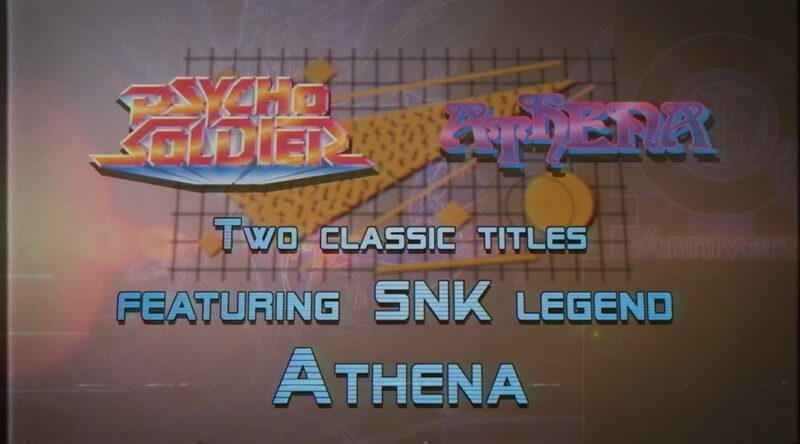 NIS America has uploaded a new trailer introducing players to Psycho Soldier and Athena, two traditional platform titles by SNK included in SNK 40th Anniversary Collection. SNK 40th Anniversary Collection arrives November 13 for Nintendo Switch. Athena, one of SNK’s most iconic characters, makes her debut in the company’s first traditional platform game in 1986! Players walk in a side-view perspective, and jump, climb, and swim to reach new areas. Athena begins the game with just a red bikini, and gains armor and weapons along her journey. The game was notable for its branching paths. Players could complete the game without seeing all its content, and could even warp to different areas. Athena’s sequel, to put it simply, arrived shortly after in 1987. The seal of darkness has been broken, and only these two heroes can bring peace back to the world. The star of Psycho Soldier is Athena Asamiya, a school girl who seems to be a direct descendant of the first Athena. She’s joined by Sie Kensou, who would go on to join the King of Fighters roster alongside Athena. The game is an automatic belt scroller with five lanes, in which Athena and Kensou smash bricks with weapons to find items and power up!